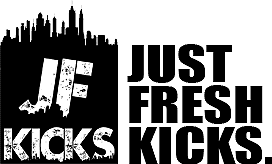 Welcome to a new series from JustFreshKicks titled Industry Insiders. As passionate sneaker fans, we want to bridge the gap between brands and consumers, and one of the best ways to do so is talking with some of the sneaker world’s power players. 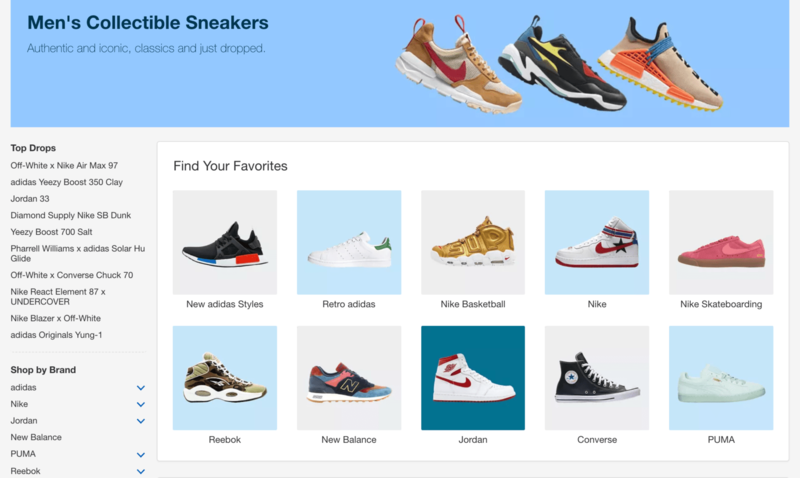 As the oldest footwear resale platform in the world, eBay has recently made some changes to interact with the sneaker community on a more intimate level. 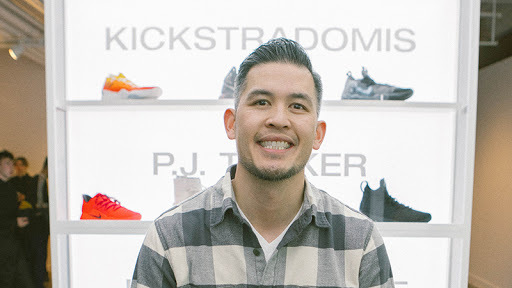 In order to get a better idea of what’s to come, we sat down with eBay’s Senior Men’s Clothing and Footwear Category manager Jeff Chan to talk about eBay’s place in the sneaker market, their partnerships with brands, and what he had on feet for Air Max Day. So, without further ado, lets jump right in. JFK: How did you first get into sneakers? Jeff Chan: Well, I grew up in the late 80s and early 90s- an era in which basketball was almost entirely dominated by Michael Jordan. Most of my passion for sneakers comes from watching not only Mike play but from the people who came after, like Penny, Garnett, and Mike Bibby at the college level. I was – and still am- largely a fan of 90s basketball models. JFK: As a longtime sneakerhead, did you have any sort of relationship with eBay before you began working there? JC: Yes! Of course I did. eBay is one of the oldest sneaker resale marketplaces in the world, so naturally I’ve watched it grow from an early age. My eBay profile dates back to the early 2000s, when I started selling shoes on there. Growing up in the Bay Area, I had access to a lot of samples sales that were exclusive to the area. To me, these samples weren’t all that special, but I found a market for them online, through eBay. Dudes were hitting me up to buy sneakers I’d purchased on sale. eBay also helped me grow my collection, as it is one of the best places to find rare or forgotten pairs once they get to a certain age. JFK: A lot of people in the footwear industry get their start in retail or something at a similar level. How did you arrive in shoes at eBay? JC: I started in retail too. I worked for several big box companies previously, as a part of the various background teams that make shopping in store an easier experience. When I started at eBay, I was working in the watches category, which I’m sure you know is very similar to sneakers in their resale markets and obsessive fan bases (Oh, we know Jeff.) My passion for footwear has always been separated from my job, but when eBay offered me the chance to switch my focus onto footwear, I jumped at the opportunity. What do you mean when you say eBay “offered” you the chance in footwear? Well, eBay has always been a hub for rare and expensive sneakers. 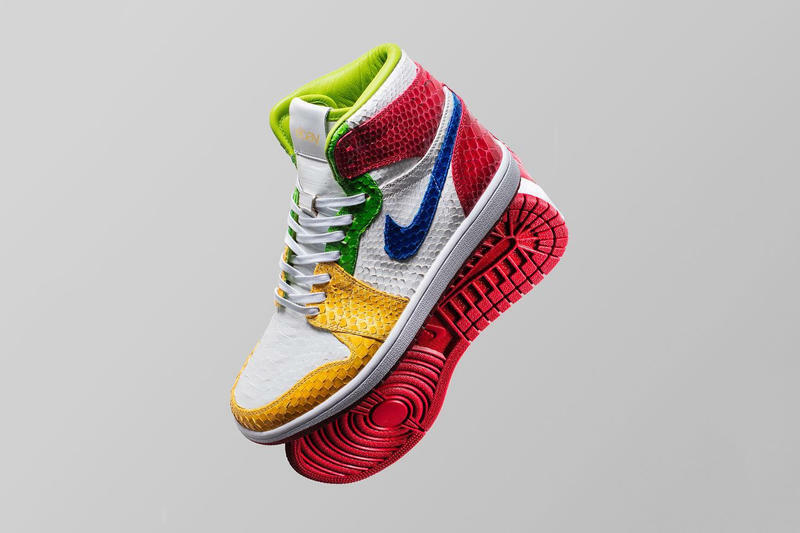 A few years ago, when the community and market surrounding these shoes began to expand rapidly, it occurred to some at eBay to act on the large portion of the market they’d been cultivating for over 20 years now. I am always wearing sneakers in the office, and because of this, I was one of the first people they came to help get the refined sneakers category going. Wow, that’s a pretty spectacular offer. Was this a difficult transition for you? Were you nervous or excited about such a change? Honestly, I was very excited. Of course it was a daunting task, but I was confident in both my knowledge and the team that we could get where we wanted to go. 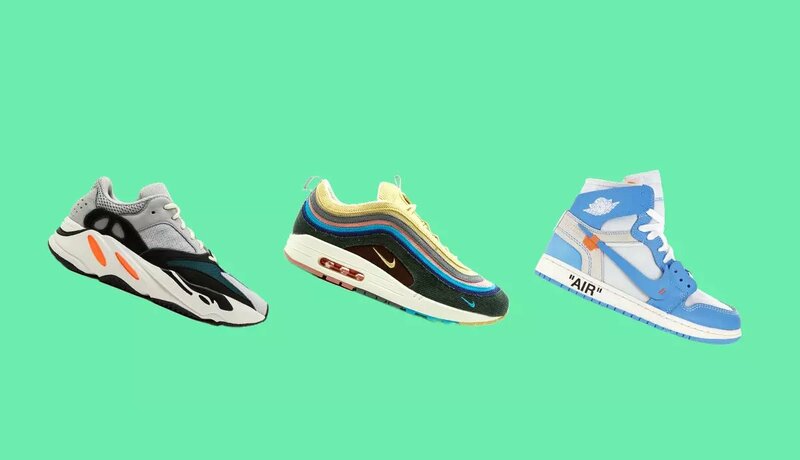 Since the addition of eBay’s dedicated “rare sneakers” subsection of the footwear category, has anything changed about the way consumers shop for shoes? Buyer behavior is something we definitely pay attention to, but in no way does it dictate the market. While we still promote the hottest and trending shoes on the main page, eBay users still receive an experience tailored to them by their browsing or purchase history. You see lists of $50 shoes on the website more often than $120 shoes because that is the price point where most of the country shops. However, in recent years we’ve seen a spike in consumers stretching out of their comfort zone, often purchasing slightly more expensive footwear they might have avoided just a few months earlier. We have already seen brands like adidas, PUMA, Reebok, and Asics open their own dedicated stores on eBay. Can you shed any light on the possibility of these brand’s releasing rare/coveted styles through eBay, in addition to standard release procedures? Partnerships with these brands enables them to sell whatever they need to in the eBay space, allowing them to adjust their marketing strategy and reach a wider audience to millions of buyers. There is no need to push a specific product, and eBay does not ask anything specific of them. As for potential partnerships or releases, well, let’s just say we have some fun stuff coming down the line. In addition to these dedicated stores, eBay has also teamed up with several aftermarket stores to reissue coveted silhouettes for at or below their original retail price. Can you tell me a bit about how these partnerships come about? Sure! SoleStage and Stadium Good are both valuable partners to us. These kinds of releases usually occur pretty naturally. We keep an open line of discussion with these stores about what’s coming out, what they have available, and how we can release it. When all these factors add up, you get events like thousands of Yeezy Boost 350 V2 “Cream” for under retail or several size runs of the Yeezy 700 “Inertia” for retail just weeks after the initial release. It’s a lot of fun being able to give people a second shot at pairs they might’ve missed out on. The past few years have been full of growth and change for the global sneaker community. Have you noticed any trends emerging that excite you? Oh, definitely! I think that colorful shoes are back in a big way. We’re going back to the 80s/90s in terms of styling and color, sort of similar to the “dad” trend, but also moving away from the oversized portion of it. Lots of brands are breaking out vintage styles and silhouettes, molding past styles with new technologies and materials, while still maintaining the feel of the originals that I grew up around. Where do you think eBay fits into the marketplace moving forward? eBay is constantly testing creative ways to stick out and stand out in the space, and will definitely be moving customer experience forward with every step. Do you have any advice for young professionals looking to merge their work and their passion? Oh, absolutely. Passion is something that you should carry with you in every aspect of your life. While it is important to have something you’re interested in on the side, bringing passion to your work is essential. Additionally, sometimes making your passion your full-time job can dull it a bit. Finding a balance between how you like to spend your time and what you like to spend time working on is a must. Lastly, before we wrap up, what shoes did you break out for Air Max Day yesterday? Yesterday I wore my pair of atmos x Nike Air Max 1s. They’ve been a favorite of mine for a while, despite the fact that I only wear them out for special occasions like this. In fact, my daughter even asked me about them today, and told me I should wear them more often! You can shop eBay’s sneaker selection here.